Kids are natural yogis! Yoga enhances body awareness, strength and confidence in youth. It also fosters compassion, cooperation and self-acceptance. Most of all, yoga is fun! Class incorporates storytelling, music, games and expressive arts to keep your child curious and engaged. Session 1: June 20th – July 18th (no class 4th of July) 9:15 – 10:00 a.m. Session 2: July 25th – August 15th 9:15 – 10:00 a.m. Session 1: June 20th – July 18th (no class 4th of July) 10:15 – 11:00 a.m. Session 2: July 25th – August 15th 10:15 – 11:00 a.m. Ask Dr. Skendzel: When Can My Child Safely Begin Sports? Fitness habits start us on the road to a healthy active lifestyle. How early should parents start encouraging children in sports? Dr. Skendzel shares his thoughts about how parents can cultivate good health through activity. Ask Dr. Warner: When Does My Child Need Stitches? 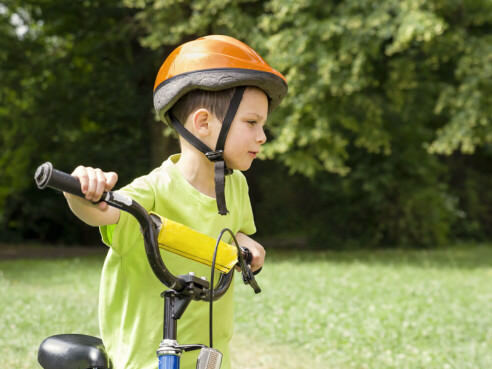 Bumps, bruises, and cuts may go hand in hand with healthy active youngsters, but no parents want to see their children injured. If an injury results in a cut, Dr. Warner’s advice can help you determine whether your child needs medical care. Just because children need foods rich in calcium doesn’t mean it’s easy to get them to eat what is good for them. Our tips help encourage healthy eating.